STEM is about all four of those amazing letters! S=science...T=technology...E=engineering...and M=math! 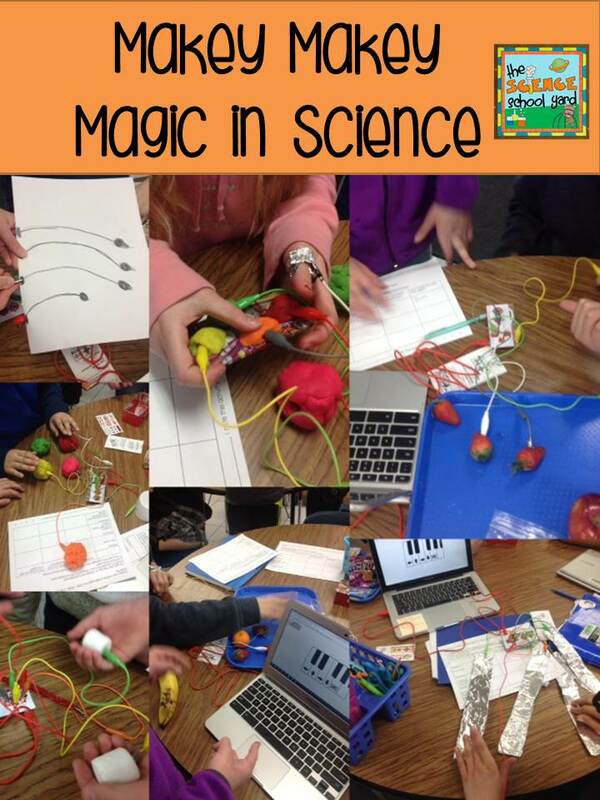 I was able to save some of my science budget money this year to invest in MaKey MaKey Boards for our school. My wonderful librarian and I are coordinating efforts to teach our students how to use them! I was a little nervous about setting up a lesson about something based on technology with no background in this product at all. I took a kit home...played around with it with my son...and wow it was amazing how exciting it was when I played my first banana bongo! 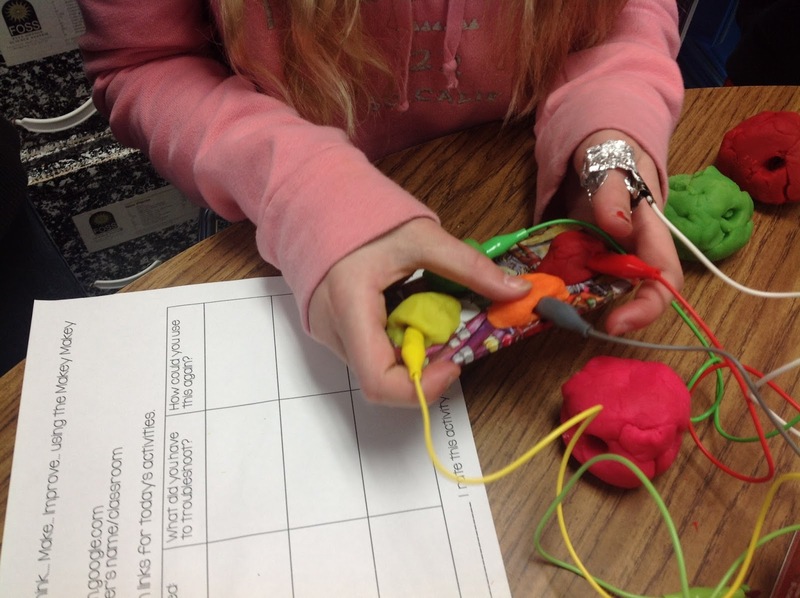 My students in fifth grade are two weeks ahead of schedule...so I decided to bring out the Makey Makey Boards...create a lesson linked with lessons found on Scratch and the rest is magic! 2. I shared with them the scientific process and made sure that they knew that it was about trying...testing...troubleshooting...and then sharing! 3. Then, I shared with them how to get to the assignment...I set up a google classroom for the students to enter and find my sheet with direct links on. 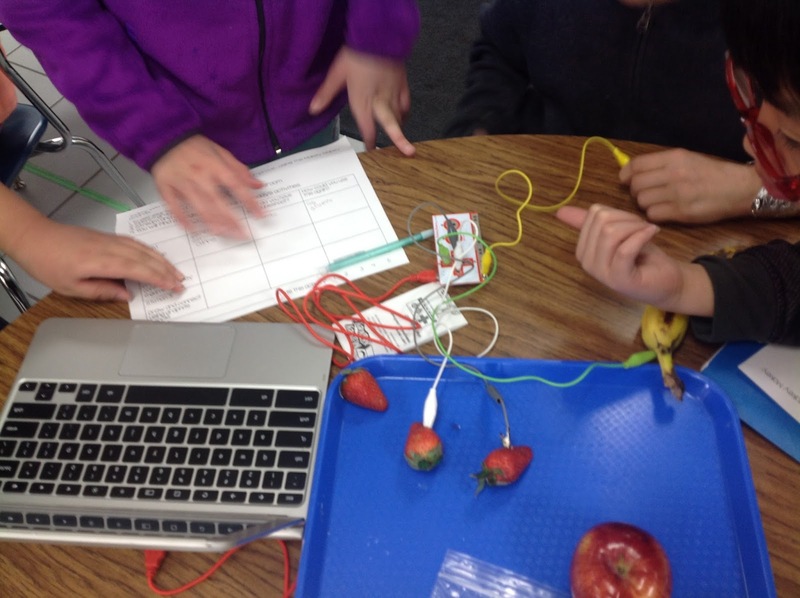 This is helpful when using one computer and one Makey Makey box per table. 4. 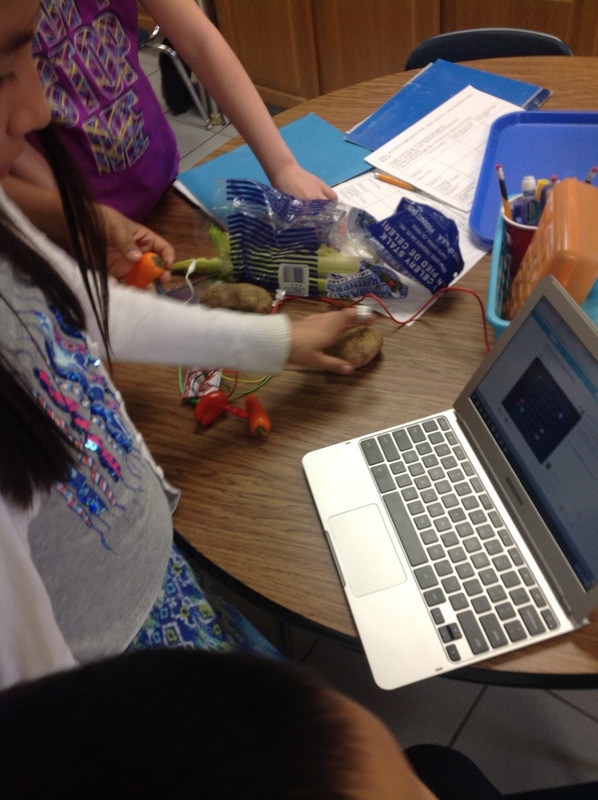 Their goal was to first, make an instrument out of what was placed on their table. This is the fun part...on each table I placed a tray with different objects. (veggies, fruits, foil, play dough, school snacks, and treats) They are all great conductors! 5. I give them a piece of aluminum foil to ground themselves to. They can make a bracelet or arm band or even a ring. 6. I then let them have at it! It only took three minutes and I heard music once they got into the google classroom sight. 7. Once they play some music...they then have to create a controller for a game! They can choose Mario Brothers, Pac Man, or Tetris. Each of these games can be found at Scratch: Explore. I then looked for music and games then reviewed them. I found this on my hunt to teach MaKey MaKey lessons...great fun connection to use if you want to! 8. 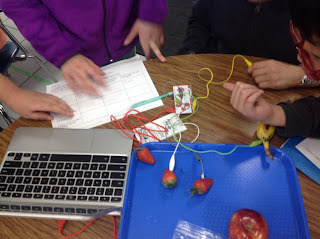 We finish our fun up with groups able to create an art project that uses graphite to draw pathways that connect to the MaKey MaKey board! Not all groups get to this task...but before we wrap up we complete the sheet and rate the lesson! On a scale of 1-5 we averaged a 5 on this one! What I learned...using new technology might be scary at first, but the kids pick up on it faster than you think. Give something new a try...you might find out that your kids will love it! And so will you!